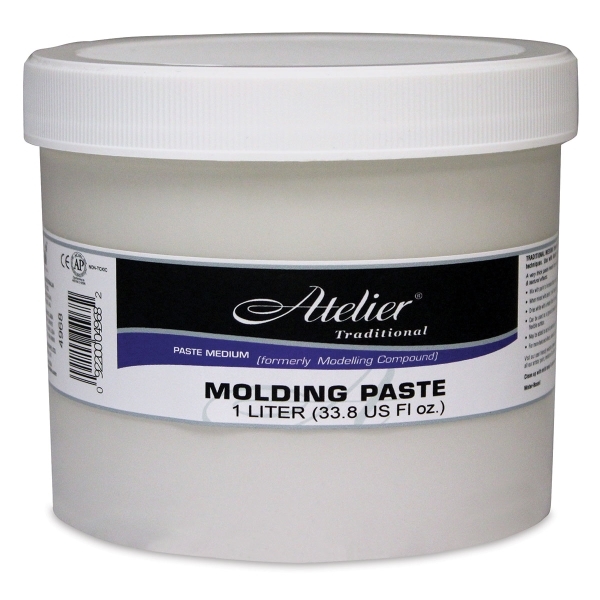 This very thick, textural paste can be used to create exaggerated structure within artwork. It offers the same flexibility as Atelier paints, and can be used at any stage in the painting process. Molding Paste dries white. Mix it with paint for a colored ground, or paint over it after it dries (Paste was formerly known as Modeling Compound).